Identity theft protection should be somewhere in the top annual resolutions list of everyone. As you may know by now, incidents of identity theft and corporate data breaches and mishandling of personal information leading to identity fraud are on the rise. These corporate data breaches are the result of poor corporate information safeguards and violations of corporate policies by employees and others. Although, consumers are not accountable for poor corporate data safeguards and mishandling of their information by others, they are responsible for their careless handling and sharing of their own personal information when it comes to prevention and detection of identity theft. If you are one of those people who come up with a list of top annual resolutions every year, you need to strongly consider reviewing your list and including identity theft management as one of your top new year resolutions. Your life resolutions should not be viewed as a list that expires at the end of the year but rather a life roadmap that gets reviewed at least every year for possible revisions and renewed commitment. By placing the identity protection goal as one of your new year goals, at least you acknowledge its importance and attempt to plan for its execution. It’s usually preferable to have a short list of achievable and critical goals, which can be acted on with passion and sense of urgency than a long list of new year goals and resolutions that are not critical, unachievable, pointless and which will not get fully executed. This is especially true if some of your goals might take months to fully execute such as dieting and exercising to achieve a desired weight or identity protection, which is a continuous process requiring behavioral changes. If there is no passion, belief and sense of urgency tied to the top annual resolutions, then we might just drop the ball and not fully execute the goals, including the goals that really matter. Therefore it’s really important to focus our attention on what’s really important to us by listing them as our top annual resolutions, prioritize the goals and then create an action plan to execute them based on priority. It’s been advised that shorter goals such as “review my credit report” tend to be easier for people to accomplish, however some goals such as protecting identity or losing weight are broader and continuous which can take months to accomplish. In these cases, the goals must be broken down into shorter actionable steps to make it easier for execution and tracking success. 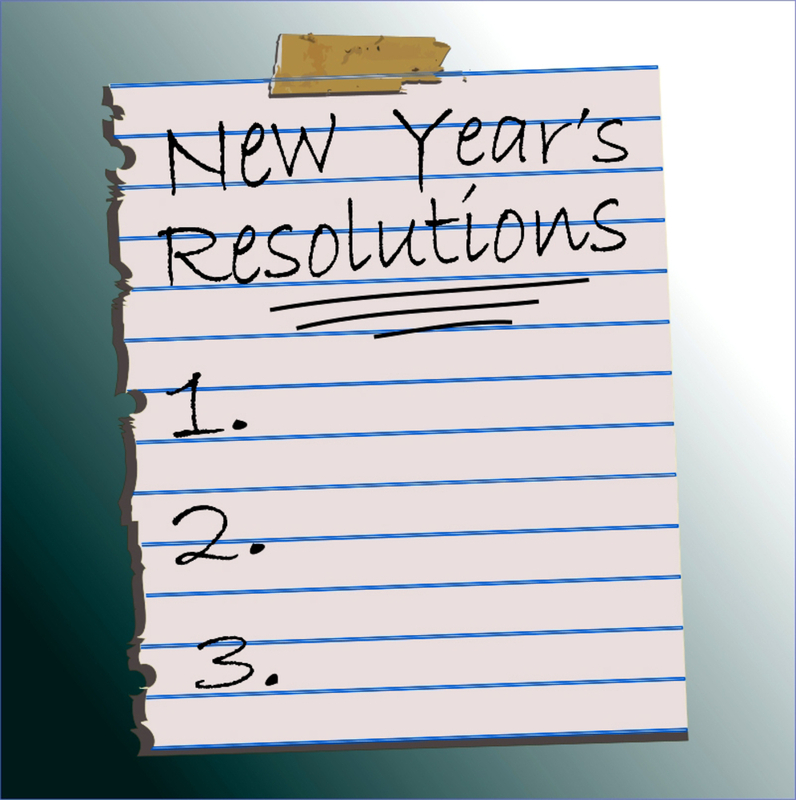 We have listed some identity theft resolutions for the coming year for your consideration. Consider these new year resolutions for protecting your identity, which may also improve your credit score and debt to income ratio. Pick the ones you feel you can tackle immediately and leave the rest for a future time. Some of these may be more appropriate for your current situation and require immediate execution and others may not even matter to you for now. And remember, if you need to change some of the goals in your top annual resolutions to reflect realities as situations might change without notice, you don’t have to wait until the following year to make those revisions. Update your top annual resolutions as frequently as necessary and consider the list as a roadmap for life, which should be reviewed and changed as frequently as needed to address new challenges, and newly found desires and talents. If some goals may take longer to accomplish, break them down into smaller goals that you can quickly accomplish and track the overall success. 1. Avoid becoming an identity theft victim by assessing your actions. You can accomplish this by education yourself to increase your awareness of risks and knowledge of best practices. Websites such as this one offer free education and great tools to stay on top of identity theft. Sign up for the free newsletter to receive monthly articles and announcements. 2. Acquire less identity components and reduce identity theft risks. Just like in weight management, the more you consume, the more obese you become and increase your identity theft risk. 3. Don’t carelessly share personal information with just about every one and every website. Be very picky when sharing information and ask your self if sharing the information is necessary in your particular case. 4. Avoid excessive usage of credit cards and use cash or gift cards instead, especially for smaller and frequent purchases. 6. Reevaluate credit cards and close some that are not needed or don’t provide the best value. Note: You can close a credit card even if you have outstanding balances. You (or someone else) just can’t use the card any more after it’s closed. 7. Become more paper organized at home and office. 8. Secure important documents in a fireproof safebox. 9. Create backup plans for possible loss of important documents. Note: Store copies of your most important documents in a safe place. 10. Advise family, friends, colleagues, employees and others to get educated about the risks of identity theft and how to protect themselves. 11. Be more careful and private when communicating personal information in public, over the phone, and on the Internet. Avoid loud discussions in public regarding private matters including the doctor's office. 12. Validate identities of people you meet in person, online or on the phone before sharing my valuable information. 13. Visit only legitimate and secure web sites. 14. Ensure e-mails you open or attachments you download are from people and sources you trust. 15. Secure your computer against physical theft, spyware, and virus. 16. Secure the office, home and car when away. 17. Don’t unnecessarily take important documents or devices containing personal information on the road. 18. Protect laptops, phones, iPods, USBs and other devices by way of a password and/or encryption. 19. Acquire further education and awareness on identity theft. Visit www.identity-theft-awareness.com for informative articles. 20. Learn and follow the identity protection guidelines in the identity KAOS protection program. Return from top annual resolutions to home page.